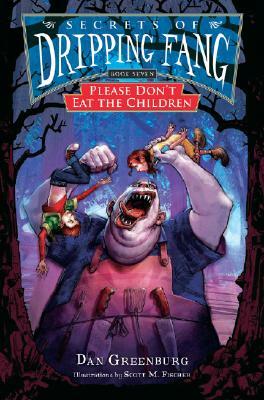 HMH Books for Young Readers, 9780152060473, 160pp. What can we expect from the next two brilliantly creepy books in the deliciously disturbing Dripping Fang series? Well, it’s probably a safe guess that they will be just as bizarre and frightfully fun as the others. And we could possibly surmise that they’ll take our two heroes, Wally and Cheyenne Shluffmuffin, back to the clutches of the show-tune-happy Hortense Jolly at the Jolly Days Orphanage, where odd adventures might ensue. Who knows, maybe even The Jackal (of international assassin fame) will make another appearance. Nothing’s exactly for certain when it comes to these out-of-the-ordinary tales, but it’s definitely a fact that Dan Greenburg gets wackier and more inventive with each new installment. DAN GREENBURG is the creator of the enormously popular Zack Files series of middle grade novels as well as the author of a number of bestselling adult books, the best-known of which is How to Be a Jewish Mother. He lives in New York.